The University of Waterloo is one of 30 institutions around the world, and the only Canadian representative chosen by the United Nations to join its gender equality initiative, Impact 10x10x10. The University of Waterloo is one of 30 institutions around the world – and the only Canadian representative – chosen by the United Nations to join its gender equality initiative, Impact 10x10x10. Ten university presidents, 10 CEOs and 10 heads of state around the world were invited to commit to a set of goals aimed at improving gender equity within their organizations or governments. 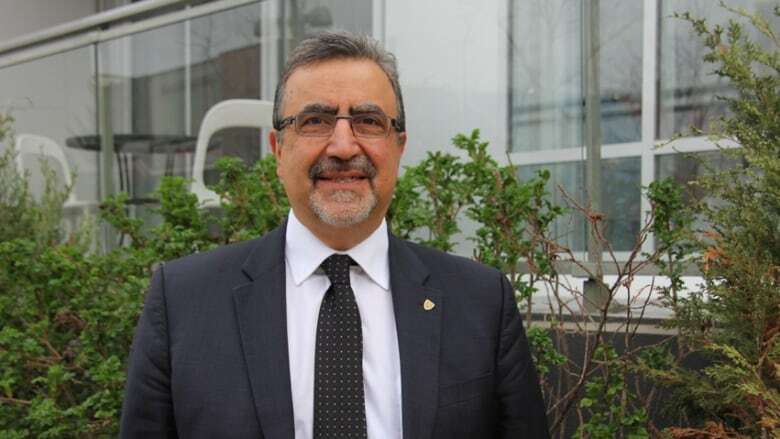 Feridun Hamdullahpur, president of the University of Waterloo, says the school is honoured to be part of the campaign. "We are also very motivated and encouraged and energized about this because we are being made part of a very important initiative," said Hamdullahpur. "Inequity is unacceptable, anywhere, any time." Boost female student representation in science, technology, engineering and math (STEM) on campus. Increase female faculty representation and strive for parity. Attract female leaders into senior academic and administrative university roles. Impact 10x10x10 is part of the UN's HeForShe campaign launched in September of 2014 by Emma Watson, Goodwill Ambassador for UN Women and actress. Part of the campaign's goals is to attract more men to the gender equality movement. As a STEM-intensive institution, the University of Waterloo was well-positioned to take on the challenge of attracting women to disciplines that are traditionally male dominated, says Diana Parry, special advisor to the president on women's and gender issues. "We tend to be a little more male-dominated than some other schools and as a result we have greater potential to bring more boys and men into the HeForShe campaign," said Parry. Engineering: 24 per cent of students are female. Math: 33 per cent of students are female. Science: 53 per cent of students are female. Environment: 55 per cent of students are female. Arts: 63 per cent of students are female. Applied Health Sciences: 67 per cent of students are female. Engineering: 17 per cent of faculty members are female. Math: 17 per cent of faculty members are female. Science: 27 per cent of faculty members are female. Environment: 35 per cent of faculty members are female. Arts: 43 per cent of faculty members are female. Applied Health Sciences: 43 per cent of faculty members are female. To live up to their commitment, Parry says the university plans on creating STEM-focused scholarships for young women. It will also increase outreach to young girls by offering programs like week-long science camps and will also focus on attracting young women in aboriginal communities to STEM disciplines. Parry says the university is still working with the UN on how it will measure success and be accountable to the organization. The university has five years to complete their goals.